Colonel Sandurz: What is it, Sergeant Ricco? Radio Operator: You told me to let you know the moment Planet Druidia was in sight, sir. Radio Operator: Planet Druidia's in sight, sir. 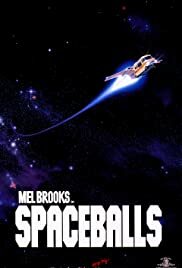 Colonel Sandurz: You're really a Spaceball. You know that, don't you? Q: Why were Lone Starr and Barf on Dark Helmet's hit list?